We were recently able to sit down to chat with former SNK Playmore USA President Ben Herman, who has a long history in the video game industry and was with SNK during many pivotal years, including overseeing the launch of the Neo Geo Pocket Color. Today, we present you with a preview of this interview, which will be published in full in Mega Visions Magazine Issue #7. You can subscribe to the magazine and get your hands on this issue by subscribing to our Patreon here. Mega Visions: Thanks for sitting down and speaking with us today, Ben. This is an interview that we’ve really been looking forward to. Ben Herman: I appreciate it, and I’m happy to stay alive in this category and to have an opportunity to talk about it more. It has been changing for a very long time, and for myself, I had the chance to be around back when Atari was shipping 2600s, so I’ve been apart of [the game industry] for a long time, and at the end of the day, it’s fun to talk about. MV: You mentioned that you’ve been around since the Atari 2600 days. Can you tell our readers how you got started in the video game industry? BH: Absolutely. I was very fortunate to work for Parker Brothers in the late ’70s and ’80s. I had a good understanding of board games, and I knew how to treat them like my children and to open up a box where the board didn’t have to be flipped around when I was presenting it to a customer and even though I had Monopoly, Sorry, Clue and Risk to sell, we always had new games each year. So I was doing board games, and all of a sudden, Parker Bros. decided to get into electronic games, so they came up with Merlin, which was a $25 cost piece of hardware that was very well accepted. Milton Bradley had the Simon if you remember what that was. 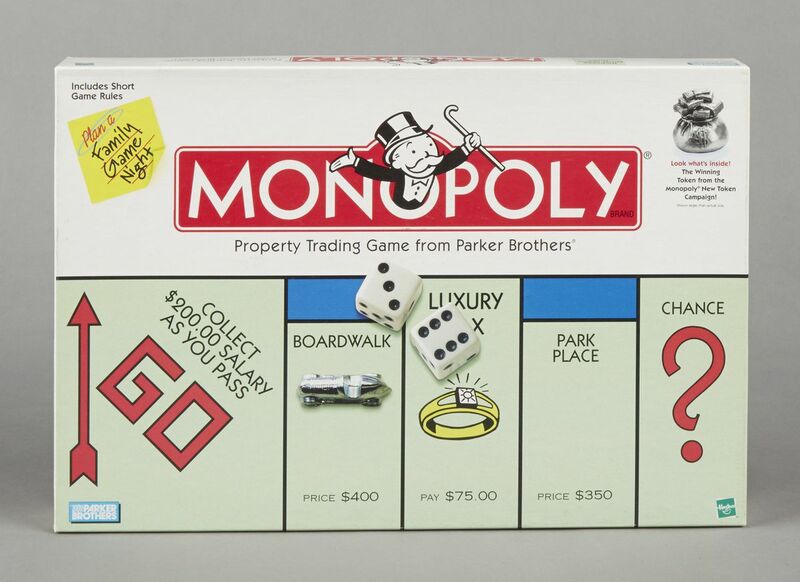 At that time, Parker Brothers existed and Milton Bradley existed as independent companies prior to their merger. Essentially for myself, Parker Brothers got into electronics and decided to start making video games for the Atari 2600 and the first game was Empire Strikes Back. At the time, the second Star Wars movie was coming out, and also released Frogger and a year later, they did Q*bert. The company actually split into two divisions, and I stayed with the board games, which wasn’t my choice. In 1986, I decided to leave Parker Brothers. 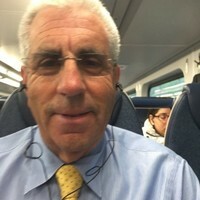 It had a kind of corporate structure, and it wasn’t the perfect triangle anymore, and I wanted to be regional for the East Coast, so I left to get into the housewares industry, but very quickly, the rep that I was using for my housewares became the second or third Nintendo rep. His name was Richard Tuck at Leisure Time Marketing. He had the New England territory, and I had just moved back to New York at the time. He called me and told me he had a new line with Nintendo that was doing very well, and Nintendo needed an additional regional manager in the New York area, so he wanted to know if I wanted to interview for it, which I did; they wanted to hire me, but as it turned out, the salary structure just wasn’t going to work out for me at the moment. About two months later, I was asked by Nintendo, the same national sales manager, to interview with the sales rep in New York, and I did a year working with Sam Barofsky Associates. Sam Barofsky was the first Nintendo rep, he was incredible, just about every third party came to him to help them get their NES products into the marketplace all over the country. There were reps around the country that were leaning on Sam to get the line, and it was just an incredible time. That kind of took us to the late ’80s when SEGA got into the marketplace and tried to use some of the same reps and what have you, but it just became a very exciting time. The numbers of product orders back then were just astronomical, and then the industry kept continuing. That’s how I got started at least through ’80s. MV: During most of the ’90s, you were a consultant for several different video game companies, like Atari, Taito and SNK, so you probably have a unique perspective on the console wars between SEGA and Nintendo. As someone who was working in the game industry but not yet directly working for or with either company, what were your thoughts on how that battle between the two companies was playing out and SEGA’s marketing strategy to cut into Nintendo’s market share? BH: Nintendo came out in ’85 and brought the Famicom over to the United States, so we had the NES, and Nintendo owned 95 percent to 100 percent of the market on day one. They felt that anyone who came out with something, including SEGA, would not effect them and even though there were millions of rumors that they were telling retailers, “If you buy this, I’m going to short you on your allocations,” there was no proof of that. When Nintendo brought out the NES, they thought it could last a very long time, and it was doing great. They didn’t believe they had to go to the Super Nintendo, but SEGA kind of forced that issue when they brought out their enhanced system, the Genesis, then Nintendo brought out the Super Nintendo. 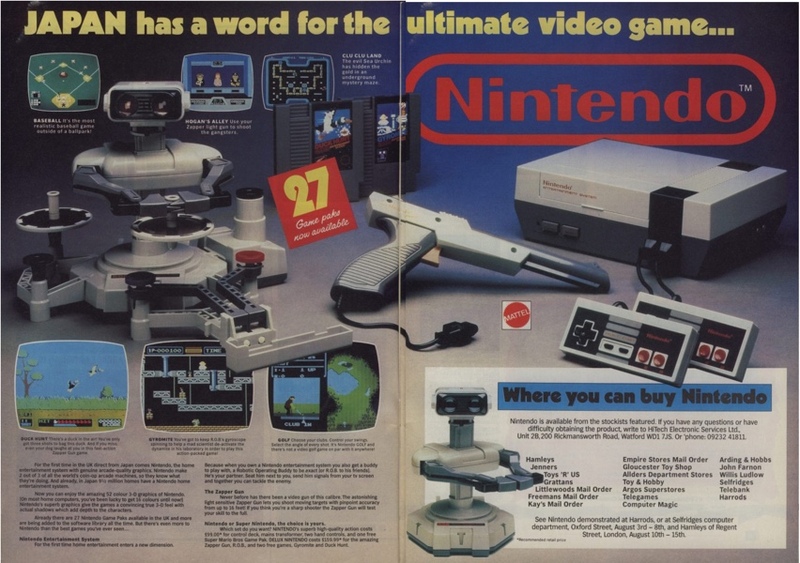 Nintendo believed or at least marketed that it was like an audio system in that you would have your NES next to your Super NES, and you would just play both the same way people would with a record player and cassette player in an audio deck. It didn’t work all that well because people wanted to step up and weren’t going to continue to play the NES, but the two of them were going at it with advertising. With SEGA, it was all about the games. If you wanted to play Sonic, you had to have a SEGA system. When SEGA and Nintendo were going at it, the only thing Nintendo did was they didn’t want their sales reps to sell SEGA games, that was the only thing they were trying to make difficult for SEGA. What a lot of companies did, let’s say Taito, they’d say, “OK maybe you’re getting 3 percent on the sales of your NES games,” so they would say, “Do me a favor and sell the SEGA games, and I won’t pay you for the sales, but I’ll pay you 6 percent for Nintendo,” so there was a little gamesmanship there. MV: You mentioned how Nintendo used some strong arm tactics with third party developer and publishers. 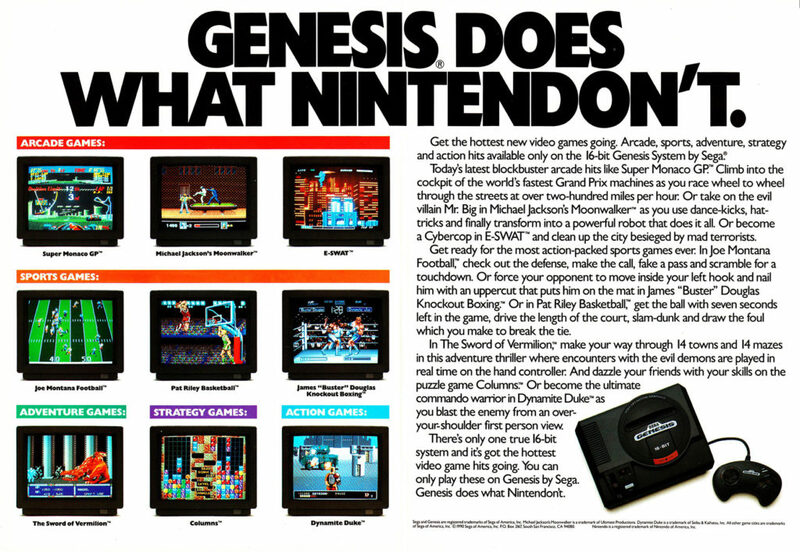 When you were consulting for some of these companies, what advice did you give them in dealing with both SEGA and Nintendo, and how much sense did it make from a third party’s perspective to bring games to the Genesis at the time? BH: It was hard. What Nintendo wanted, at least what I believe they did contractually, is they would say you could bring a game to the other systems, like the Genesis, but they wanted you to give them exclusivity for six months. So some of the companies had to decide to make a game just for SEGA or Nintendo, and that lasted awhile until Sony showed up and changed the category a lot. In the early ’90s, with SNK, at that time, with making NES games, they decided to stop making third party games and began developing their Advanced Video Entertainment system. MV: It was in 1999 when you joined SNK as their vice president of sales and marketing. 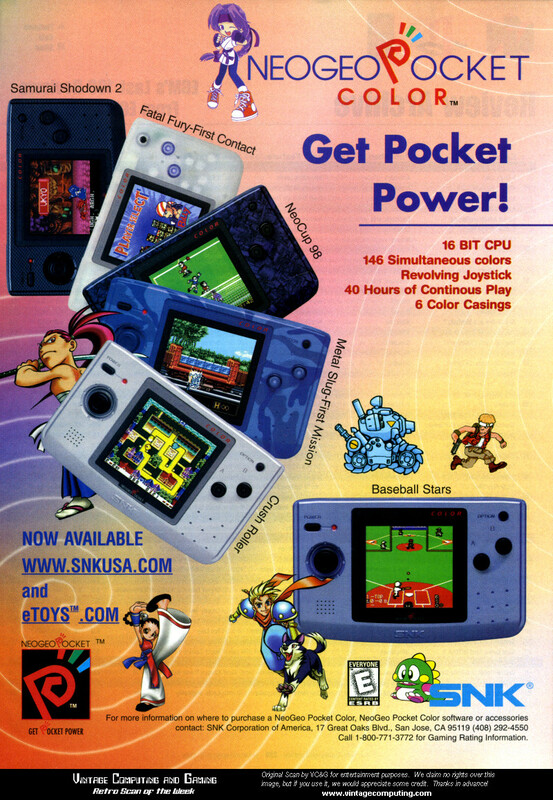 At this point in SNK’s life, they had shifted away from console development and discontinued the Neo Geo CD in ’97, but they had just released the Neo Geo Pocket and not too long after the Color version. Coming into the company, what were some of the challenges you had on your plate and how did you go about meeting those challenges? BH: What happened for me was I had a very good relationship with SNK. When I first started my company in 1990, they asked me to consult but to also be their national sales manager for the last couple of NES games. I had a year with them and it was good for both companies. My income *laughs* and my ability to help them liquidate those products and get them out there because with that six month window and with the SNES coming out, there was a feeling among retailers that they didn’t need the quantities that they purchased. What happened for me was a number of years of helping and working with the company, I was told in ’98 that they would be coming out with the Neo Geo Pocket, and I said I wanted to come on board, so I interviewed for the position but said I wanted to be the vice president of sales. 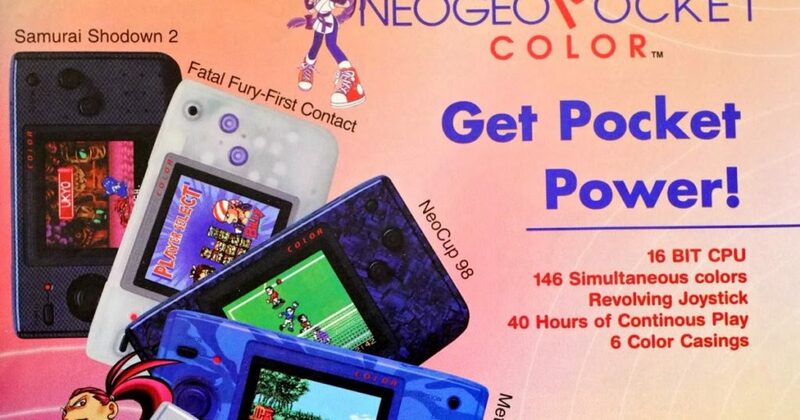 I also said that when we launched in the U.S., we were going to do color and not worry about black and white – we’d just go straight to the Neo Geo Pocket Color. So that was a rush. The negatives were that the company was a privately owned company, they didn’t have the financing to do it the way we wanted to as far as advertising, but it was so well received that the only negative I would say is that if I had the opportunity, from day one, I would have tried to build some third-party relationships so there were some third-party games being built for that system and sold by the third parties. When we brought it out, I basically had a dozen games that were all SNK packaged, we did everything here in the U.S. and shipped it from California, then the company in Japan ran out of money and we had to pull it all back. That was insane because in year one, I placed it everywhere and we were getting decent sales, the only account I didn’t get it into was K-Mart, and they promised they would bring it in during year 2, but in year 2 we pulled it off the shelves and shut down the company, but that was only because of issues in Japan. MV: Some people probably don’t realize that SNK wasn’t losing money on the Pocket Color. In fact it was profitable, so it looked like the future of the system was pretty good with you growing market share. If you weren’t stopped early and had to pull it off shelves, where do you think the Pocket Color would go with additional years? BH: We were 2 percent of the market place in one year, and if I had my second year, the question would have been games. There were a couple of games that didn’t come out that people still ask me about, but the truth is we did not have third-party support, it wasn’t going to have Tiger Woods Golf or EA Madden Football, so how high I could have gone with it, I don’t know. I don’t think it would have ever gotten past 5 percent, but if I had that third-party support, if I would have been allowed to talk to some of the American third parties on my own or Japan had conversations with companies like Capcom, it could have been. Not that it would ever have replaced the Game Boy, but it would have been a player for years. MV: Switching gears, we learned earlier this year that you joined Zoom to become the vice president of business development. What can you tell our readers about Zoom and what was it about the company that made you excited enough to get back into the video industry once again? BH: Our original focus was purely retro games, and while we are continuing that focus especially with the advent of micro-consoles, we are now creating original content as well. We formed ZOOM Platform Media with Scott Miller (of 3D Realms fame) to build intellectual properties from the ground-up to maximize revenue and cross-marketing potential across all entertainment mediums. Think Top Gun, think Max Payne. For example, we’re currently working on a stealth action title co-created with a former 007 actor and another game based on a popular Sci-Fi/horror film and TV franchise. People wise, I’ve known Bernie Stolar a long time. We talk a lot and we’re always looking at things, and I knew he was involved so I said I’d like to help, and he reached out, along with Jordan Freeman, to step in and help. It’s an exciting opportunity, and there are some more things that are different but in a related category that could get me around the country, so there’s definitely a lot of excitement right now. MV: That sounds great, Ben. That about wraps up all our questions, thank you again for talking to us! Once again, to read the full interview in Mega Visions Magazine Issue #7, subscribe to our Patreon here!